Three murals were returned to their homes in Danvers Town Hall this Saturday after being restored. Photo by Mary Catherine Adams/Salem News. 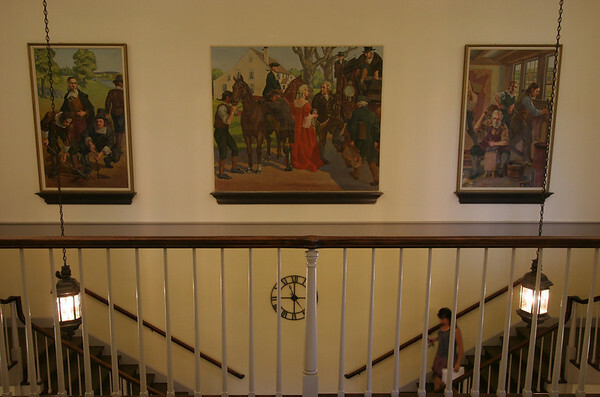 , Three murals were returned to their homes in Danvers Town Hall this Saturday after being restored. Photo by Mary Catherine Adams/Salem News.